It’s a marvelous time to be a Marvel fan, with Thor: Ragnarok dominating theaters, the Punisher TV series killing it on Netflix, Agents of SHIELD and The Gifted tearing up television, and the Black Panther movie coming over the horizon! As such, there are a lot of Marvel questions this month, so we’ve got a super-sized Ask DST dedicated to Marvel Select action figures and Marvel Gallery PVC Dioramas! Diamond Select Toys president DSTChuck fields each question to the best of his ability, and just remember that for every “no,” there’s a spectacular “yes” in the pipeline! Read on for the answers, and if your question isn’t here, submit it in the drop-down form up top, or e-mail DSTChuck! I’ve just got back from seeing Thor: Ragnarok, and was wondering whether you will be doing a Gladiator Thor to complement the Gladiator Hulk figure! I want to reunite the friends from work! DSTChuck: Yes, we have Select gladiator figures for Thor and Hulk in the works. Hi, any possibility to see a Marvel Select figure of Ares or Sentry? DSTChuck: I am sorry, neither are planned at this time. I noticed that with the GotG Cinematic Select pose-able figures Diamond is producing all heroes except for Gamora. Are there any plans to do so? DSTChuck: We did a Gamora figure for the Disney Store based on her comic book look. No current plans for a movie version, but one is possible in the future. Hi! I’m great fan of Marvel Select, specially the comic versions. I know that movie/netflix figures may be more popular now but I hope you don’t forget about the comic classics. The line is getting better than ever now that you have added more articulation and detail. I’m a huge Spidey fan so anything spidey related is welcomed, particulary Ben Reilly (either his sensational Spiderman suit or the Scarlet Spider) would be a great addition to the Marvel Select line, but also I would welcome more villians: Mysterio,Spider-Carnage,Doppelganger. Hobgoblin(or the demon variant), a classic Doc Ock, and Kingpin(even if a Netflix version of him would be cool too!). I also second the request for a Buscema(or John Byrne) version of the comic Hulk(purple or red pants, even Byrne trunks, I’m down ). 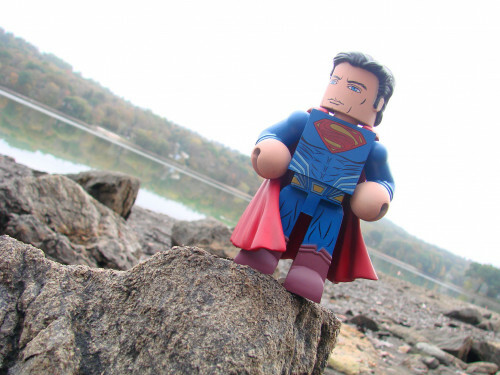 DSTChuck: We have continued to make comic-based figures, and I do not see that stopping soon. We’re big fans of Spidey here, and for sure we’re always happy to do another Hulk figure, so we’ll see. Hi Gang, just got my Gamora and Rocket Gallery PVC. Simply perfect. Any chance of a Nebula or Yondu to complete the team? I am really impressed with your Deadpool and Cable resin statues, hopefully Cable and Domino make their way to the PVC line as well…..HINT HINT!! I am getting massively hyped for Ragnarok. Any chance of seeing that line expanding to cover Loki, Hela, maybe a Beta Ray Bill? DSTChuck: Right now, we are done with the Gallery for GoG2, but I’m glad you like the line. For sure we would consider Cable for Gallery – I suppose maybe we’ll see how the Domino statue does before we decide on a Gallery for her. We have talked about doing a Hela something soon, since the movie is so cool! When can you make X-men movie figures? FOX is ridiculous on that. Are you still working on getting copyright on that? DSTChuck: It just became too difficult logistically. But things change all the time, so never say never. Hello! There will be a new Marvel Gallery Black Panther with his upcoming movie? And there will probably be a new Marvel Gallery Spider-Man from the sequel of Spider-Man Homecoming? Thanks! 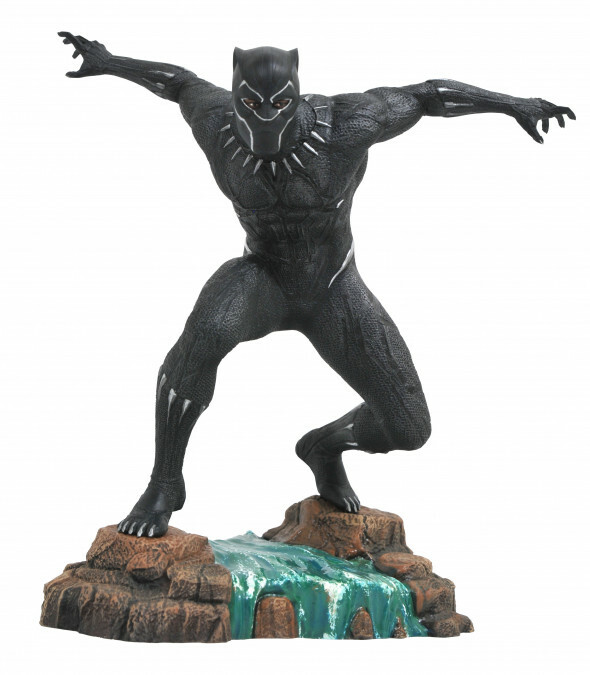 DSTChuck: We are planning a good spread of products for the Black Panther movie, including Marvel Gallery PVC Dioramas of Black Panther and Killmonger. Right now, we don’t have any details on the next Spidey movie, so it’s too early to say. Hi, I was wondering if there’s a chance you’ll do a classic Luke Cage as Power Man in the Gallery line of figures? DSTChuck: We did the Netflix one recently, so there is not one planned soon, but just because we did the Netflix one doesn’t mean we WON”T do a comic version. Hi, is it a possibility for you to do a Femme Fatale figure based on comic book Hela? DSTChuck: Yes, it is possible, but there is nothing planned at this time. 1. On the first event ComicCon in this year, we saw that Marvel Select Daredevil had a replaceable head (Unmasked version). But why did only the version with the mask come out on sale? Will we see the Unmasked version from Disney store? 2. Regarding Star-lord and Spider-Man will we see the unmasked version on sale? I understand that Spider-Man looks fine with a mask, but Star-lord uses the mask in the movies only 5% of the movie. That is why it’s a little strange to see this figure only with mask. I saw a version without mask on the Marvel Gallery. I hope that is not a problem for you to release Unmasked Star-lord from Disney store. 3. I appreciate that you every time answer for questions on Fox Movies. I understand that you have some kind of problem with Fox, that you can’t make figures on their films, but any way I’ll ask if you can at least realize the movie version of Deadpool. I understand that I’m probably talking about impossible things. But every time when I look at the Wolverine movie figure, I see that this figure is a living proof that you can do it in the future. 1. We showed it at Toy Fair, but the costing did not work out with the base and the stand, so they never went into production, and there are no plans for the future to release that version. 2. 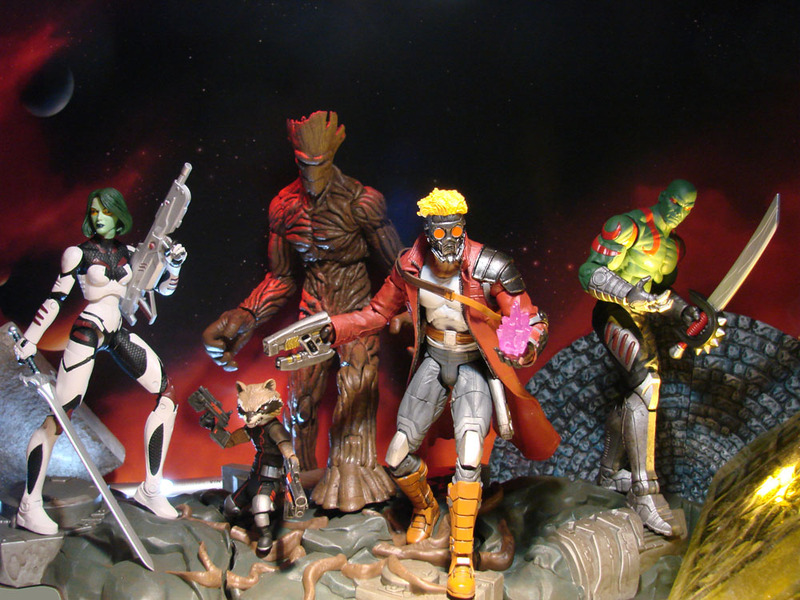 There are no plans at this time to release a maskless Starlord Gallery or Select figure. 3. We do not have a problem with Fox, we’ve held a Fox license for almost the entire time we have been in business, including Buffy, Alien, Predator and X-Files. It’s just a complicated situation for the Marvel movies, so we’re not able to tackle that right now. 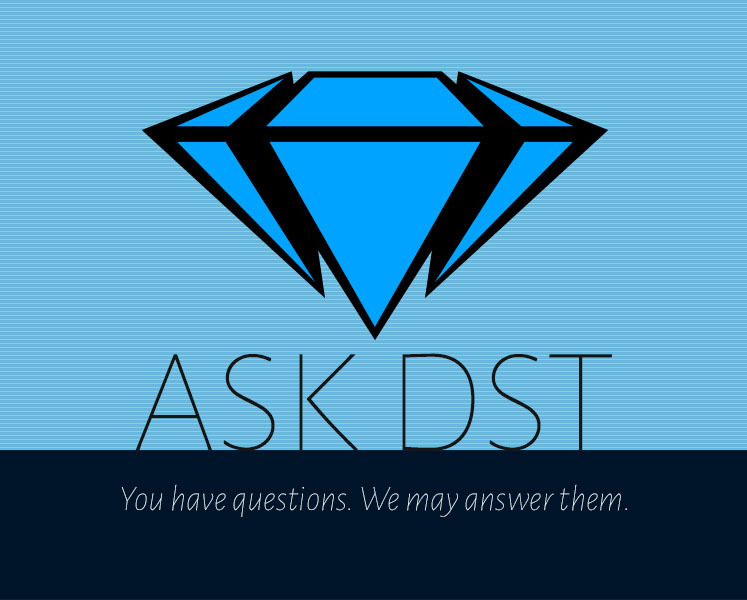 If your question isn’t here, submit it in the drop-down form up top, or e-mail DSTChuck! Next Up: On Sale Now: Justice League, Harley Quinn, Spider-Gwen & More!